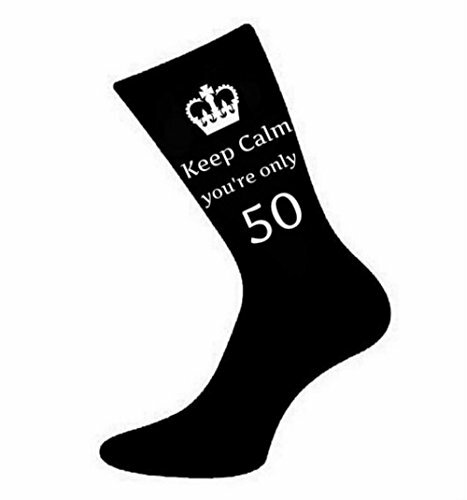 Funky Black Keep Calm You're Only 50 Socks. Perfect for any Man on his 50th Birthday. If you have any questions about this product by Oaktree Gifts, contact us by completing and submitting the form below. If you are looking for a specif part number, please include it with your message.